Daddy-O In The News On TexasEscapes.com! With Real Live Movement and Body Functions! Check Out What People Are Saying about the Daddy-O! The Iguana and It's "Next" Incarnation! Click on the links below to see Daddy-O's lastest! 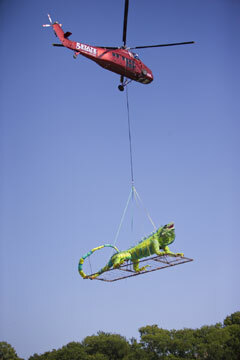 The Attack Of the 40 Ft. Iguana!